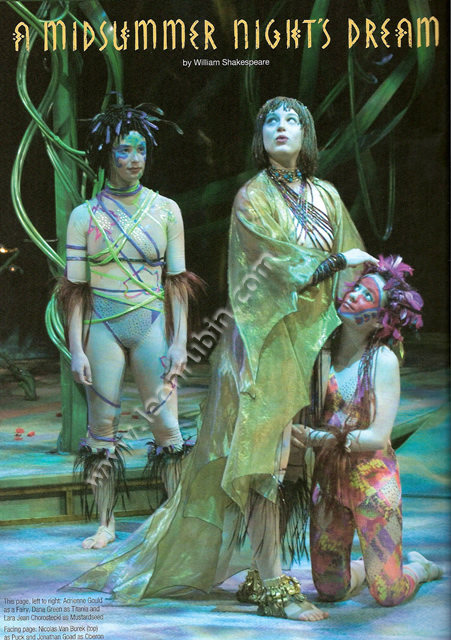 The Stratford Festival opened its 2004 season last night with a version of A Midsummer Night’s Dream planted firmly in the Amazonian rain forest. The device allows director Leon Rubin to run riot with colour, spectacular staging and eerie sound effects. Indeed, comedy is in full flower in this production of Dream and it seems Mr. Rubin and his actors have thoroughly mined the text for its comic nuggets – and then some. 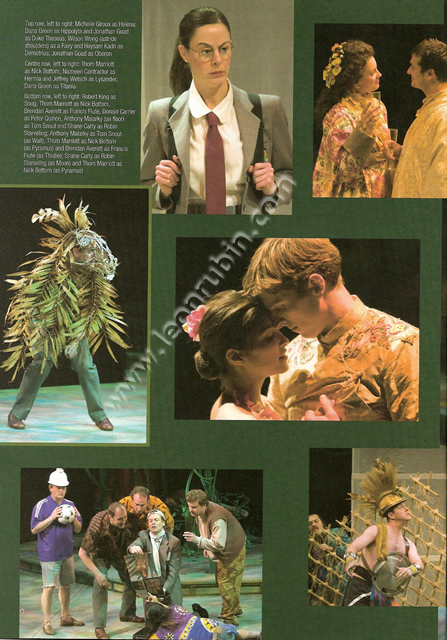 “Lord, what fools those mortals be for love in A Midsummer Night’s Dream”. Likewise, it’s easy for an audience to be enamoured of the enchanting edition of Shakespeare’s romantic comedy that opened the 2004 Stratford Festival last night. Directed by Leon Rubin, the high-energy entertainment draws on magic tricks, comic hijinks and circus acts to enliven the dizzying tale of lovers becoming lunatics in their desperate pursuit of soulmates. 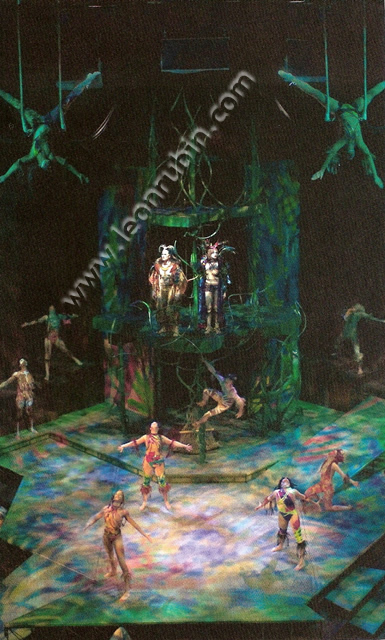 Stratford’s recreation of this fantasy world features some spectacular aspects such as trapeze bars and bungee cords that allow the fairies to “fly” high above the Festival Theatre stage. 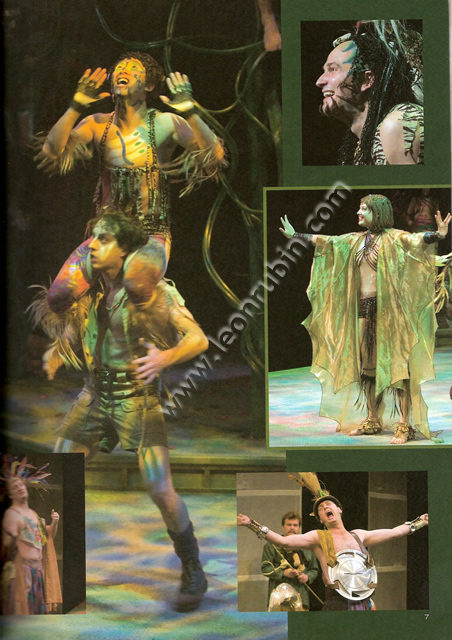 Rarely have I enjoyed a play more than I did Stratford Festival’s 2004 production of A Midsummer Night’s Dream – and for a change it wasn’t because what was on stage engaged me intellectually. It was because it made me laugh. By the end, it almost pulled me out of my seat for one of those standing ovations that I think are passed out far too often these days. Special note to director Leon Rubin for putting a somewhat fresh spin on the play. It really was “under the big top”. Great job! A Midsummer Night’s Dream is wonderfully done at Stratford and well worth seeing, even if you’ve seen it several times before. This is a terrifically fresh approach that you’ll really enjoy.